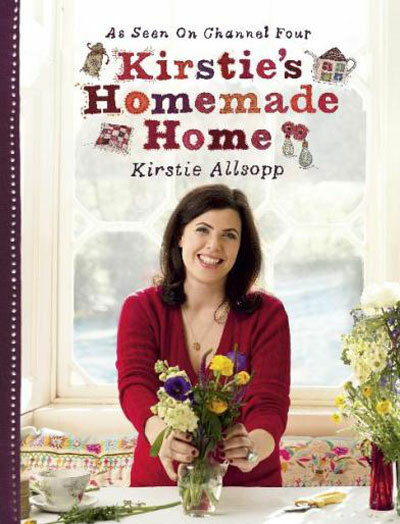 If you're ready to try something you love, and want your home to say something special about you, Kirstie Allsopp might have the answer. Taking inspiration from places and talented people up and down the country, Kirstie's Homemade Home is the perfect introduction to creating your own dream home. Whether you fancy crafting wonderful objects that will last a lifetime or that are sheer indulgence, trying a bit of make-do-and-mend, getting second hand stuff at knock-down prices, or bidding at auction, Kirstie shares her infectious passion for great British crafts, home grown style and the art of buying smart without skimping on quality or beauty. With lovely picture to linger on, the book pins down all the expert advice, ideas and fun bits from the hit Channel 4 series, with simple, step-by-step projects to the very best home crafts (from quilting to candle making, from candy striping to handmade wallpaper). And as Kirstie says, 'I hope all of you will give at least one thing a try - I'm absolutely certain that you'll feel as chuffed to bits with the results as I did'. 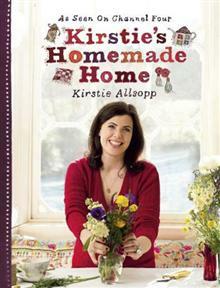 Kirstie Allsopp is the star of Channel 4's Kirstie's Homemade Home and the co-presenter, with Phil Spencer, of Location, Location, Location and Relocation, Relocation. After working with interior decorator Nikki Haslam, Kirstie worked for Country Living magazine before setting up a property buying business with a friend. Kirstie lives in Devon and West London with her partner Ben Anderson and their two sons and two stepsons.